The Magic Worlds exhibition at the Weston Museum closed on 6 January. But fear not, another magic-flavoured exhibition opens a few hundred yards away at the University of Sheffield’s Western Bank Library from 7 February to 6 May. Again, Magick has been involved behind the scenes with information and the loan of various rare artefacts. 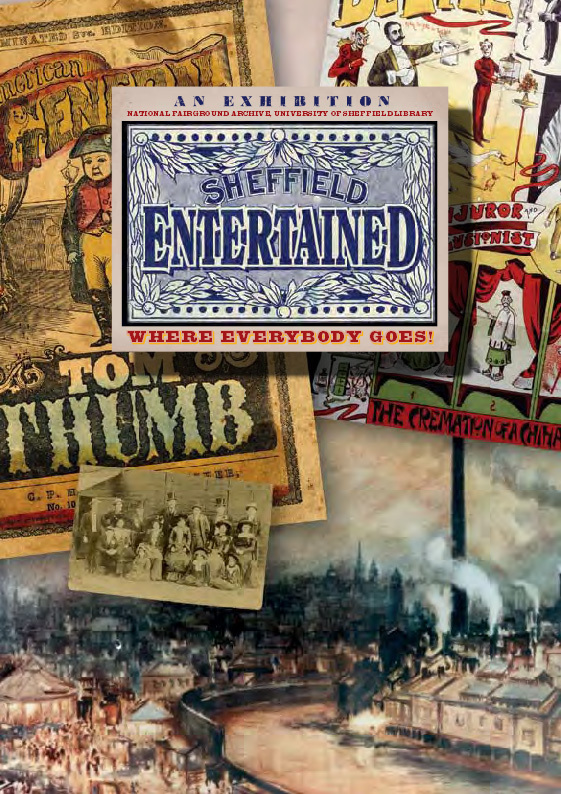 The National Fairground Archive invites you to discover the entertainment heritage of the City of Sheffield. Drawing on the NFA’s extensive collections and with material kindly loaned from Museums Sheffield and the Local Studies Collection, this exhibition covers the world of illegitimate entertainment; the growth of the music hall and variety in the 20th century; the world of magic; early cinematograph shows and the travelling funfairs that are part of the history of the City. “Illegitimate entertainment”? Hmm… although I do know a couple of magicians whose parentage has been called to doubt on occasions. During the nineteenth century, as leisure time increased, entertainment in Sheffield rapidly developed to cope with the demand. Shows, fairs and circuses opened in the city centre. In the early 1800s, one popular venue, The Angel Inn, welcomed the original French Giant, and a second French Giant appeared at The Haymarket in 1865. Travelling theatre companies such as Shefﬁeld locals the Hodgson Family provided portable entertainment for melodramas, recitals and popular sensational stories such as The Life of Charles Peace. Throughout the nineteenth century larger sites were needed for the purveying of entertainment and a range of new venues were utilised alongside the more traditional theatres such as the Theatre Royal. The Shefﬁeld Institute, a three-storey building constructed in 1847 at a cost of £7,000 was the sett ing for the visit of General Tom Thumb, aka Charles Stratton who, in November 1857 gave three shows daily for one shilling. Later years, of course, saw the opening of a number of theatres and music halls, such as The Lyceum (built in 1897), The Sheffield Empire (1895-1963), and The Attercliffe Palace (originally The Alhambra, 1896-1961). 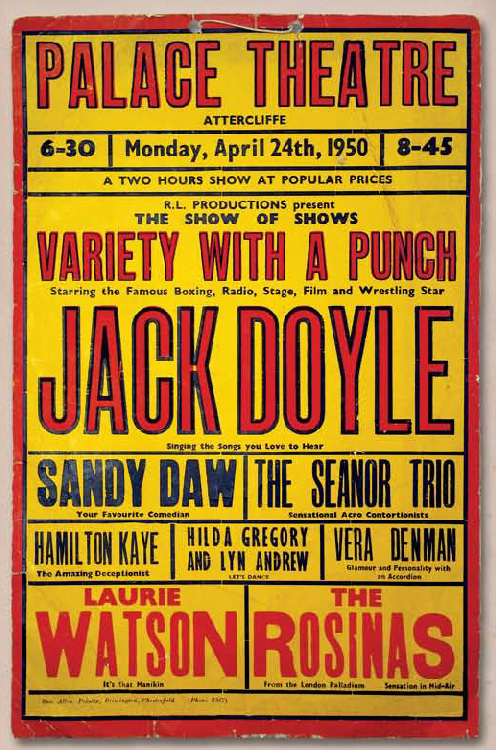 The poster shown here is from a 1950 show at The Palace. Note the appearance of Hamilton Kaye ‘The Amazing Deceptionist’, who many readers will remember as a popular local magician, dealer and purveyor of flash paper. For further information see www.shef.ac.uk/library/exhibition .